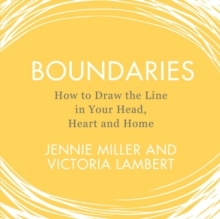 A four-step programme to help develop self-esteem, create time to do the things that nourish and fulfil you, discover a deep sense of calm, and achieve healthy control over your life, home and work, co-written by psychotherapist and relationship expert Jennie Miller and award-winning journalist Victoria Lambert. 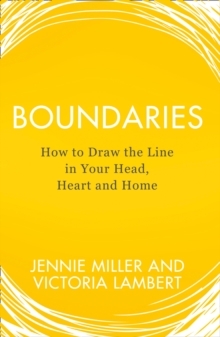 The need to understand where to draw the line has never been more acute, with new online trends seeping quickly into our consciousness often before we've had time to consider what personal boundaries they might require. 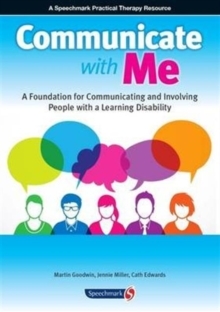 Covering email etiquette, office politics, healthy parenting, dating among the over 50s, oversharing, relationships and more, there is no other book that deals effectively and practically with the embryonic and ever-evolving relationship codes of today. 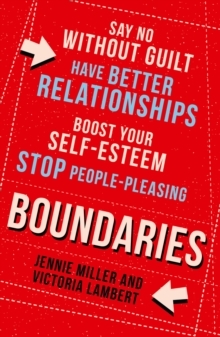 Discover how to set personal boundaries in the most important aspects of your life: from sleep to fitness, diet to social media and computer usage, and build the self-confidence that results from learning to care for yourself.